A confession. I love films where you feel compelled to comment on the action as it takes place. No, not in a theatre setting, but at home where such rants go unnoticed. If the filmmaker is good at setting it up, then it can become an enjoyable “bonus feature” as you sit back and start handing out all of those little suggestions (of course the actors can’t hear you and do as they please). “Run!” Oops, too late. Filmmaker Adam Green’s Frozen was such a film. Three skiers trapped on a ski lift with no one to help … they must either solve the puzzle of their escape or die. 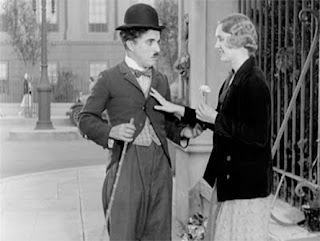 It was great fun; it was a participation film where the compulsion to chip in advice from time to time was unavoidable. On Oct. 15, Image Entertainment has another such “talk to the screen” thrillers planned for both DVD and Blu-ray delivery. 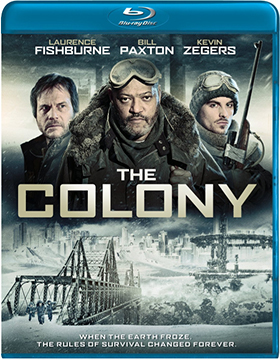 That would be director Jeff Renfroe’s The Colony, starring Bill Paxton, Laurence Fishburne and John Tench. In the near future the planet has been plunged into another ice age and the few survivors that remain have taken refuge underground — in this case, “Colony Seven” — where the bitter cold is not a problem … growing enough to eat in an artificial environment is. It’s a delicate balance. One day — and all of the days are pretty much like the one before and the one that will come tomorrow — they get a call from “Colony Five” where something is amiss. It is about here that the urge to offer advice kicks in. For example, “Don’t go!” immediately comes to mind. A scouting party headed by Briggs (Fishburne), the leader of the collective, arrives at the neighboring outpost and discovers that all hell has broken loose. What they find is terrifying and sets up the second half of the film — yes, they ignore all the advice from the easy chair and lead the “terror” (sorry: no spoilers — think zombies without any zombies) back to their home! The Colony is a nifty post-apocalyptic thriller — it has a few shortcomings, but nothing that can’t be “talked” through. Part horror, part sci-fi … and very enjoyable; Oct. 15 can’t come soon enough. No word yet on bonus goodies. The Criterion Collection, with sales and distribution support provided by Image Entertainment, announced its November release schedule this past week … and there’s a twist to it. 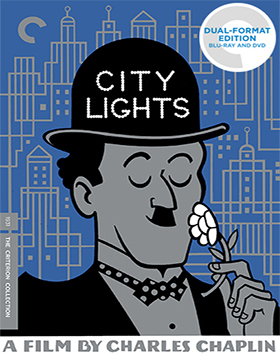 Beginning with the Nov. 12 release of City Lights and Frances Ha the only SKUs being offered will be Blu-ray/DVD Combo Packs for new product offerings. Filmmaker Charlie Chaplin’s City Lights is not among the Chaplin films released previously by Criterion on DVD, so this will be an interesting test — will collector’s pop for the extra ten bucks to add this gem to their collections? 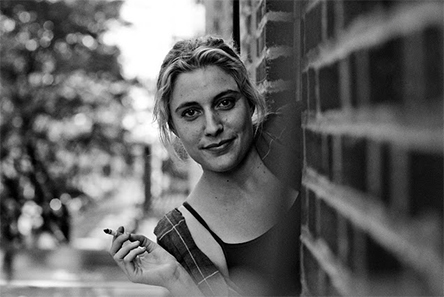 For those unfamiliar with writer/director Noah Baumbach black and white arthouse comedy, Frances Ha, this is a recent theatrical release making its home entertainment debut. The Blu-ray only approach has been attempted 24 previous times between 2011 and 2013 (mainly by Sony Pictures), so the jury is out on what sales are gained or lost by upping the cost and excluded a portion of the over market. In the case of Frances Ha, starring Greta Gerwig (who also co-wrote), the arthouse nature of the film and its limited theatrical exposure (ticket sales were good considering the platform … $4,001,585) probably has a limited reach. The Blu-ray/DVD Combo Pack might be perfectly acceptable for those drawn to its quirky narrative. The Blu-ray/DVD Combo Pack for Frances Ha sports three separate video interviews (conversations), including one between auteur filmmaker Peter Bogdanovich and director Noah Baumbach. The following week, Nov. 19, a Blu-ray/DVD Combo Pack of Japanese filmmaker Yasujirô Ozu’s 1953 film, Tokyo Story, will be offered. In 2003 Criterion released a double-disc DVD edition and that appears to be what is included here along with newly-prepared Blu-ray disc. The Blu-ray version is a newly minted 4K restoration, so collectors will have a new look at the details of this film classic. Also included is the feature-length documentary I Lived, But …, plus a 40-minute featurette titled “Talking with Ozu” and the vintage commentary track featuring Yasujiro Ozu and film scholar David Desser. 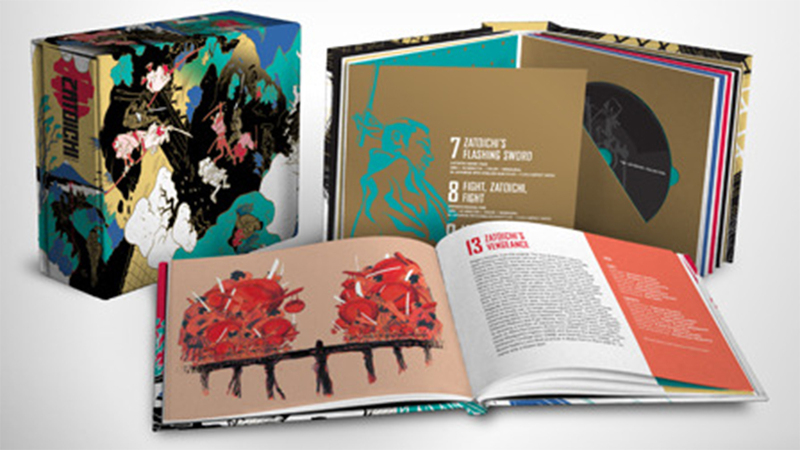 Last up on Nov. 26 is the massive Blu-ray (only) collection titled Zatoichi: The Blind Swordsman. All 25 films in the series are included in the collection — they were previously released by the now defunct Home Video beginning in 2002 with an SRP of $19.95 each. So the special buy-direct price of $179.95 that the Criterion Collection is offering for this stunning Blu-ray collection (all-new digital restorations) is actually quite a good deal for collectors drawn to this samurai series. Vinegar Syndrome has tabbed Sept. 10 as the street date for the double-feature Blu-ray release of two fully restored (from the original 35mm camera negatives) action gems from cult filmmaker Ted V. Mikels. Titled The Ted V. Mikels’ Collection, we find as the lead film the 1973 precursor to Charlie’s Angels (as well as something of an inspiration for Tarantino’s Kill Bill), The Doll Squad. The alluring Francine York (Cannon for Cordoba, The Centerfold Girls, Flood!, etc.) stars as Sabrina (Kate Jackson’s character in Charlie’s Angels), the head of a femme fatale “commando” unit assigned to track down a villainous space program saboteur. Not until two of her compatriots are murdered does Sabrina connect the dots and realize that the betrayal comes from within (Michael Ansara) … nothing can stop her and her “doll squad” as they overcome all odds to stop the madman’s insane plans. Bonus features include commentary from filmmaker Ted V. Mikels, a video interview with Francine York and two separate video interviews with Mikels. The companion feature is his 1980 chop-socky thriller, Mission: Killfast. 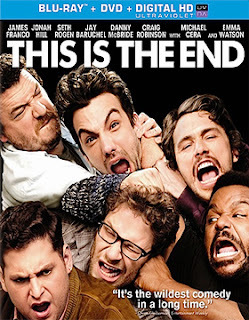 With $96.5 million in ticket sales from its summer theatrical run you would have to call, This is the End, the comedy brain child of Seth Rogen and Evan Goldberg, a success. You would also have to call a comedy about “The Rapture” from the Book of Revelation’s unique … it’s like the demons from Ghostbusters have been set loose on the new “Brat Pack” in the form of a feature-length sketch comedy. Sony Pictures Home Entertainment has selected Oct. 1 as the street date for DVD and Blu-ray/DVD Combo Pack (with UltraViolet) editions … the ARR comes in at 109 days. Bonus features include commentary from Goldberg and Rogen, deleted scenes, a gag reel, a separate blooper reel and a slew of featurettes. Well Go U.S.A. will take a break on Nov. 19 from its noted DVD and Blu-ray releases of big-budget, lavish and action-laced film product offerings from the Asian market for a more intimate romantic drama from writer/director Kat Coiro. 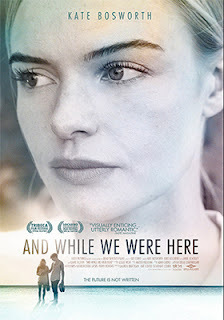 Titled And While We Were Here, the film made its debut at the Tribeca Film Festival in April of last year, took a short tour of the European festival circuit and will be getting a limited (major metro) theatrical push from Well Go U.S.A. on Sept. 13. It is being platformed to market quite nicely (looking for reviews and buzz) before arriving in the home entertainment market place on both DVD and Blu-ray. Set in Naples, Italy, we are introduced to Jane (Kate Bosworth) and her world-renown viola virtuoso husband, Leonard (Iddo Goldberg — Defiance, Secret Diary of a Call Girl), who is there for concert rehearsals. From the get-go there is a coolness to their relationship … it’s too formal; there’s an aloofness from him that is somewhat chilling. We learn of their marriage through a backstory, which seems to suggest that it is a marriage of arrangement and although Leonard may care deeply for Jane, he is, sadly, unable to express that love. 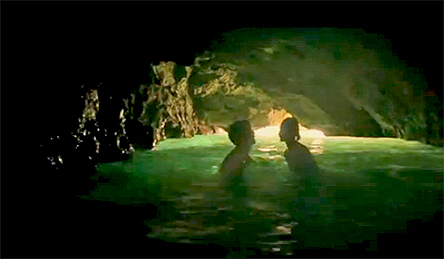 So while he gets into his work — coldly — she is left to wander the streets of Naples, which sparks a side trip to the nearby island of Ischia and a chance meeting with a man/boy named Caleb (Jamie Blackley — Snow White and the Huntsman, We Are the Freaks). Caleb is counterpoint to Leonard. He is young, vibrant, playful, funny … and very interested in the beautiful and lonely “older” woman. A romantic liaison ensues that will play out in bittersweet fashion in the third act … with tips and homages along the way to other films that have used the cobblestone streets of Naples as their romantic backdrop. And While We Were Here will have two viewing options on both DVD and Blu-ray SKUs — shot in color, filmmaker Kat Coiro choose to render the final festival version in black and white. Consumers can select from either the color or black and white presentations. In March of 2012 Warner Home Video announced that the 70-film Samuel Goldwyn library had been secured for distribution. Guys and Dolls (Blu-ray, Nov. 2012) and Hans Christian Anderson (Blu-ray, Dec. 2012) found their way home last year as part of this distribution deal and in recent weeks there have been announcements for both The Best Year of Our Lives and The Bishop’s Wife (Blu-ray for both on Nov. 5, 2013). 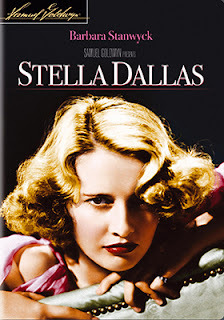 Now word comes from the studio that director King Vidor’s 1937 film release of Stella Dallas, starring Barbara Stanwyck (Best Actress nominee) and Anne Shirley (Best Support Actress nominee) will be released on DVD on Dec. 10. On the same date, Dec. 10, the Danny Kaye comedy, The Secret Life of Walter Mitty (1947) will also be available for fans to own (timed for the Ben Stiller remake which opens theatrically on Christmas day). Two words, that’s all you need to know when it comes to Breaking Glass Pictures Nov. 12 DVD debut of writer/director Joe Davison’s As Night Falls. Those words: Debbie Rochon. There is a smile about now on the face of genre fans as they nod in agreement. Debbie Rochon … a screen goddess; a scream queen of legendary stature if there ever was one. If she is in it, especially in a role that gives her a chance to strut her stuff, then it is must-see material upon its arrival at retail. Count the days … As Night Falls is coming to DVD courtesy of Breaking Glass Pictures on Nov 12. At the core of the story is Lizzy/Elizabeth (Deneen Melody — Spades, Rose White, VIVid, etc. ), who, along with her younger sister Holly (Lily Cardone), older brother Charlie (Joe Davison) and a few of their friends, throw a little party on some rather sketchy land. We know it’s a no-no for a party site from the prolog and the introduction of Nelly (Debbie Rochon) and Seymour Trine (Michael Ellison) along with some rather nasty business that they were up to way back then. Hey, that creepy stuff in the woods was 50 years ago and they are long since dead. So what is there to worry about? Plenty as it turns out … zombie-like ghosts (or demons) are conjured up and the result is one dead party guest after another. A fun party turns into one ghoulish evening that forces the siblings to band together to send “Mommy” and “Daddy” back to hell! It won’t be easy … these dead “parents” have developed quite a taste for the living. Bonus features for As Night Falls — a long-await slasher flick now getting a DVD push — include behind the scenes footage. A week ago Universal Studios announced The Purge (Oct. 8) for the home entertainment market place. We couldn’t help but note that during a summer season of mega-budget films (with questionable profitability) it is refreshing to see a $3 million dollar budgeted film gross over $60 million. Money in the bank! This week Lionsgate Home Entertainment gets into the act with the Oct. 15 DVD and Blu-ray/DVD Combo Pack (both with UltraViolet) release of Kevin Hart: Let Me Explain. 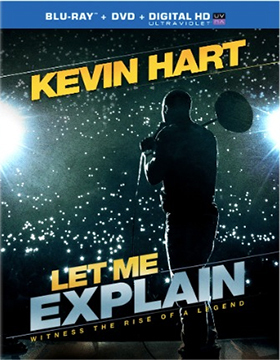 A stand-up comedy session at Madison Square Garden (in front of a PAYING audience) that was released theatrically and grossed $32.2 million! Ka-ching! 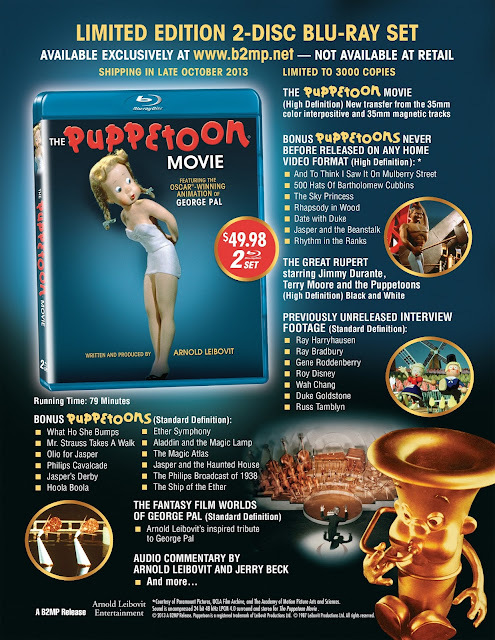 Indie B2MP, Inc. will be taking a different release tack come Oct. 29 when it will be handling the direct sales (limited to just 3,000 sets) of The Puppetoon Movie: Limited Edition (with commentary by writer/director Arnold Leibovit) on Blu-ray. Get this, there are 19 “Puppetoon” shorts, including seven that have never been released on either DVD or Blu-ray, plus Jimmy Durant in The Great Rupert and Leibovit’s 1985 feature-length documentary, The Fantasy Film Worlds of George Pal included in this double-disc collection. Plus there are seven never-before-released video interviews with the likes of Roy Disney, Gene Roddenberry, Ray Bradbury and Ray Harryhausen. WOW! Go to http://b2mp.net/ to order your copy now!